Hiring new talent can be challenging for any business owner, but retaining qualified, engaged, and productive talent can be even more difficult—especially in manufacturing. In fact, U.S. manufacturers experienced a 30.4% turnover rate in 2017, which is the highest it’s been since 2009. Employees are the backbone of a company. When top talent leaves, customer retention, production, and even company morale is affected as a result of turnover. Not to mention, turnover costs money— it’s estimated that small- to mid-sized companies spend nearly $2,000 recruiting and training each new employee. 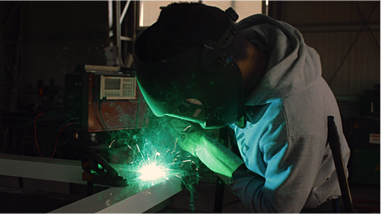 So, how can hiring managers retain engaged employees in manufacturing? By implementing the “3 Es” (Educate, Engage, and Empower) as part of a long-term strategy. Education is instrumental in the development of new hires. Manufacturers can’t expect newcomers to succeed without proper training and understanding of company objectives. For example, top manufacturers may encourage employees to get involved in situations outside their comfort zones, providing them with the support and on-the-job training to help them learn new skills and acquire new talents. This results in personal growth and staves off employee complacency. An engaged employee is emotionally committed to the organization they work for and consistently strives to perform at peak performance. However, only half of manufacturers believe their employees are fully engaged—this is a major problem. Equipment problems are ignored by disengaged employees who don’t take the initiative to notify someone who has the proper training to fix them. Defective products are then shipped by employees who don’t have any incentive to report or correct the issue, resulting in dissatisfied customers. Customers become angry when service representatives don’t have the proper attitude or training to help them. Each of these issues will ultimately affect the plant’s bottom line. Although employees need the proper skills and training to successfully do their job, they also need authority to make informed decisions that please customers and create profit margin. However, a study by the MPI Group found that about 50% of all manufacturers empower less than half of their workforce, while a full 20% don’t empower any employees at all. Offering appropriate training to perform the tasks required. Trusting their staff will get the job done without micromanagement. Communicating a clear goal so employees understand their roles and know which tasks they’re responsible for. Encouraging self-improvement by supporting outside education or classes that improve employee personal growth. Inspiring creative thinking and being open to new solutions to problems. Showing appreciation for effort and letting employees know when they’ve done their job well. Empowerment is challenging for manufacturers. It requires a mutual trust and respect between employees and management. When employees don’t have the authority to make decisions, business stalls and top talent leaves. Nothing will get done if employees need management’s approval for day-to-day tasks. And who wants to work for a company that micromanages their every move? When you empower employees, you give them the opportunity to succeed and surpass expectations. This builds trust, boosts company morale, and creates an engaging workforce for manufacturing success. Poor levels of education, engagement, and empowerment are common for both big and small manufacturing companies. Fortunately, it’s easier for smaller companies to build a workforce with the “3 Es” because there are fewer employees to train, engage, and empower in organizational methodologies. The result is rapid improvement and a competitive edge. 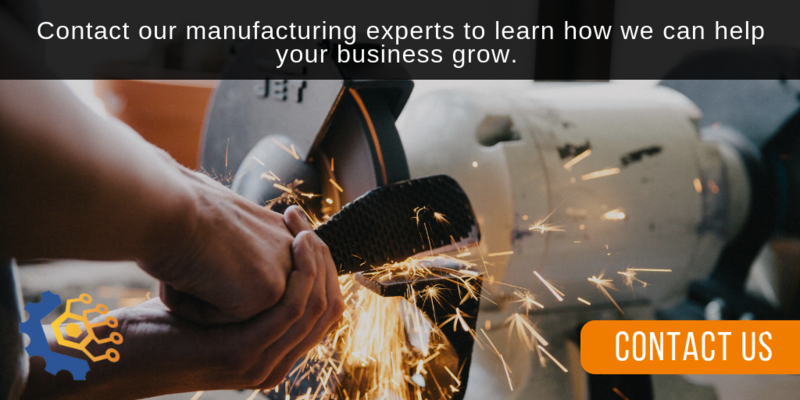 If you’re interested in building and retaining an engaged workforce, contact one of our manufacturing growth experts today.